(AFP) - Countries neighbouring South Africa have banned the import of cloven-hoofed animals and their products over a foot-and-mouth disease breakout in the northern Limpopo province, government said Monday. On Monday Agriculture Minister Senzeni Zokwana confirmed the outbreak of foot-and-mouth disease (FMD), first identified a week ago in Vhembe district near the border with Zimbabwe. The outbreak prompted the World Organisation for Animal Health (OIE) to lift the FMD-free status that the country has enjoyed since 2014, allowing it to boost red meat exports. Botswana, Namibia, Zambia and eSwatini are among the countries that have outlawed imports of South African red meat over the past week. "These bans have caused serious loss to the industry," the agriculture ministry said in a statement. "The impact this has had to trade in the past week has been devastating to say the least." The highly contagious viral disease, which causes lesions and lameness, has so far infected about 50 heads of cattle and the affected area has been placed under quarantine. South Africa is a net exporter of chilled and frozen beef. It produces around $145 million (126 million euros) worth of exports in red meats annually, with agriculture being one of the highest contributors to GDP. 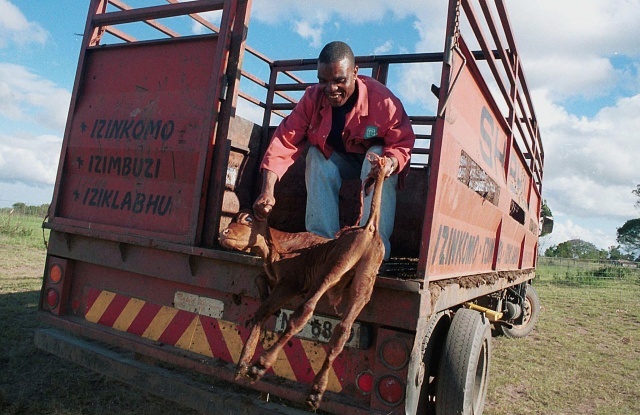 While the disease does not affect human beings, "the movement of such animals and their products, originating from South Africa, is banned," Botswana's director of veterinary services said. Agricultural economist Wandile Sihlobo cited Mozambique, Swaziland, Namibia, Lesotho, Mauritius and Angola among the key beef export markets.